The vast majority of climate scientists now agree that human-induced climate change is a reality, but there is much ongoing research and debate. Nevertheless, our global society is confronted with the urgent need for a wise response to potential climate change. This volume brings together scientists from the US and Europe to review the state of the art in climate change science. It draws from the most recent assessment reports of the IPCC, but scientific jargon has been minimized for readers from different backgrounds. 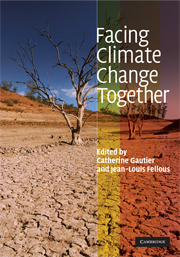 Each chapter provides a description of a particular aspect of the climate problem, its role in current climate change, its potential future impacts, and its societal importance. This book is written for scientists and students in a wide range of fields, such as atmospheric science, physics, chemistry, biology, geography, geology and socioeconomics, who are seeking a coherent and broad review of climate change issues.